This morning we had our first frost here in St. Louis, so for me it’s the end of the gardening season for 2014. 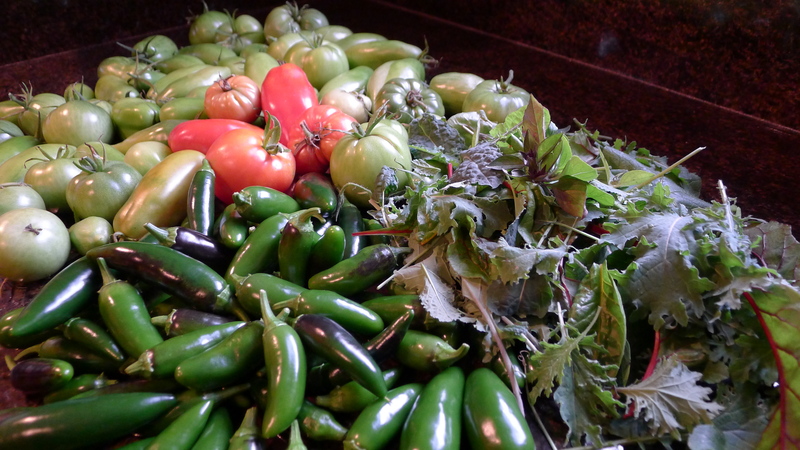 I harvested the remaining bounty on 10/30 because the forecast for this morning was in the low 30’s. I just checked the outside temperature and it’s 31.8 F. It’s been a great growing season! 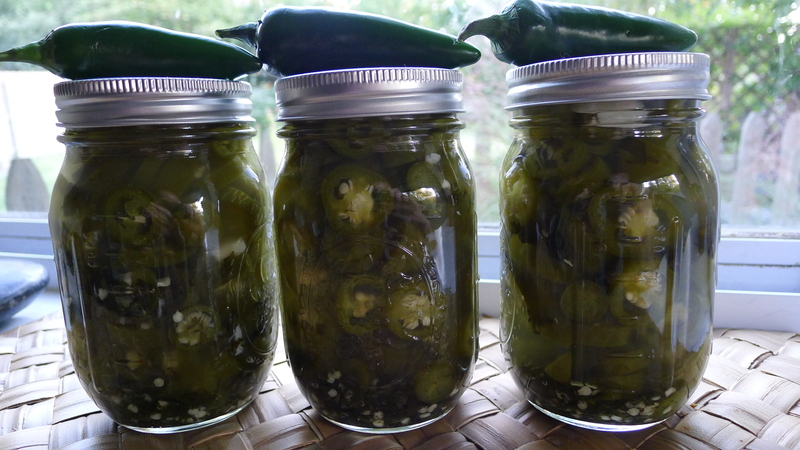 The jalapenos I harvested on 10/18 were pickled and the ones in the photo from 10/30 will be candied. Below are photos of the plentiful pickin’s and the pickled peppers (with an easy recipe if you’re flush with peppers too). 1) Combine water, vinegar, sugar, salt, garlic, oregano, chives and tarragon in a saucepan over high heat. 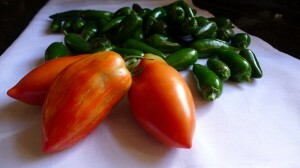 Bring mixture to a boil, stir in jalapenos and remove from heat. Let mixture cool. 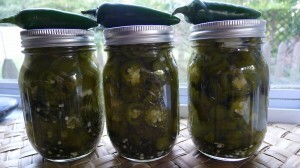 2) Pack peppers into jars using tongs, cover w/ vinegar mixture and refrigerate until needed. I hope your garden bounty was plentiful too! !